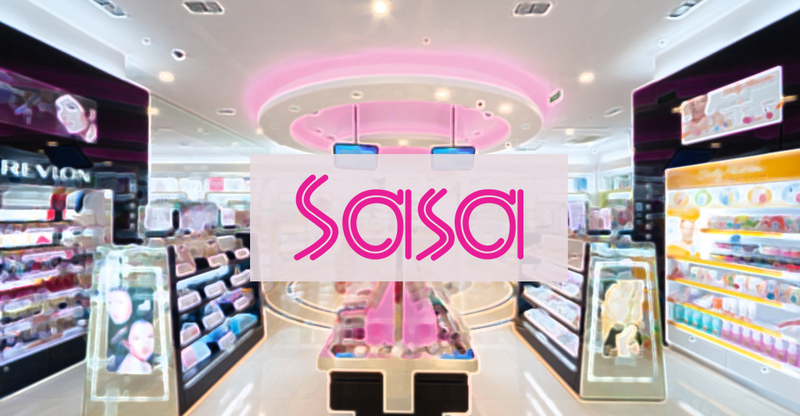 Established in 2000, Sasa is a well known cosmetic distributors originated in Hong Kong. It carries majority global cosmetics brands for women and men. The six-months assignment was to use social media with KOL to maximize effect and direct traffic to its e-Commerce site. The work was to create awareness and broadcast the launch of Sasa e-Shop, mobilize customers to the platform and drive sales. 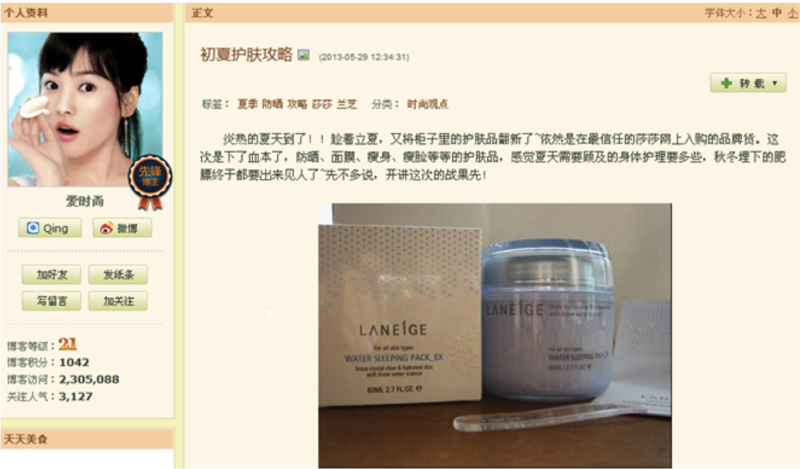 Various online promotions were placed on beauty and lifestyle sites to create momentum, use Weibo activities and KOL to influence target audience. 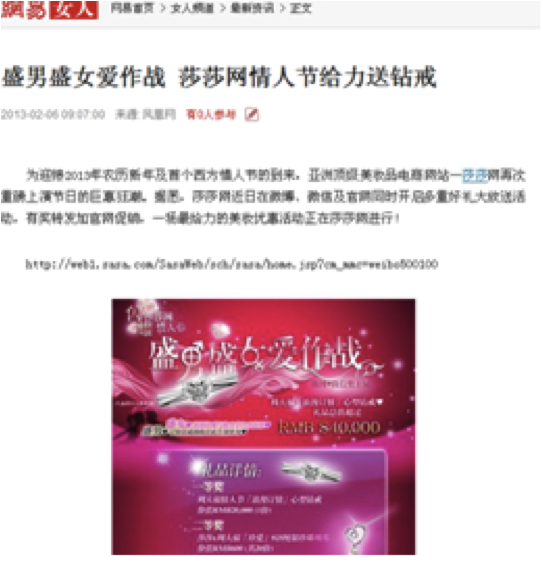 Engage beauty influencers and Weibo key bloggers to spread the news. 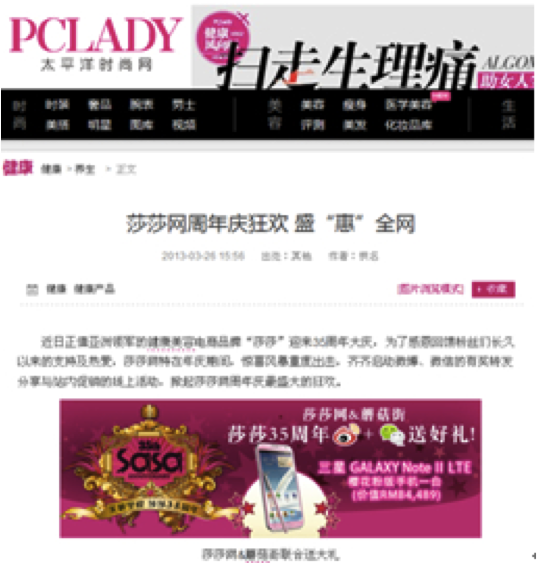 6 topics 78 PR content were released on lady’s e-magazines like Onlylady, Pclady type of platforms. Create 6 Weibo activities to drive fans to website. The exercise reached 10% sales. Research for channels, KOL and bloggers to meet client’s broadcast objective. Create campaigns from product selection, campaign creation, execution with campaign schedule. Co-ordinate with KOL, influencers to ensure launch schedule was timely and result oriented.